Laurence Jones Is a young artist from the United Kingdom, who already released 4 solo albums and sold over 50,000 albums on them. 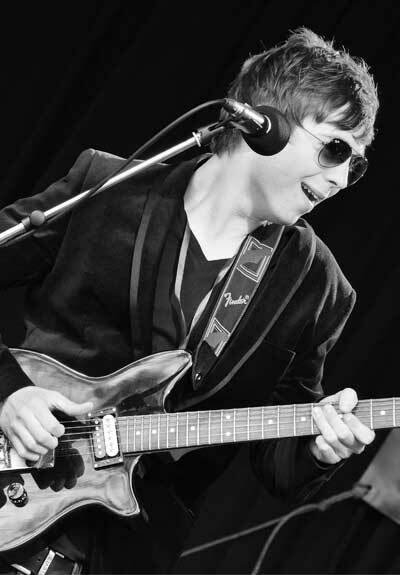 The “Laurence Jones Band” are known for their modern blues and have been playing alongside with big names. “Laurence is like a young Robin Trower, exciting and full of energy” – BBC Radio 2. “Blues Rocks youngest Talent” - Classic Rock Magazine. “A star in the making” - BBC Radio 2. “Laurence Jones is a wise musical head on young shoulders and ‘Thunder in the Sky’ is an excellent debut album, it's worth five stars” - Get Ready to Rock Magazine. Moreover, he won several awards including “Young Artist of The Year” in 2014, 2015 and 2016, and was featured on the “Blues Fury C.D along with Joe Bonamassa, Kenny Wayne Shepherd, Popa Chubby and many more.